I just gave Feverfew Leaves by Nature's Way to my 10 years old kid to treat initial cold symptoms. Cannot give it my total approval because the cause of treatment was too short. 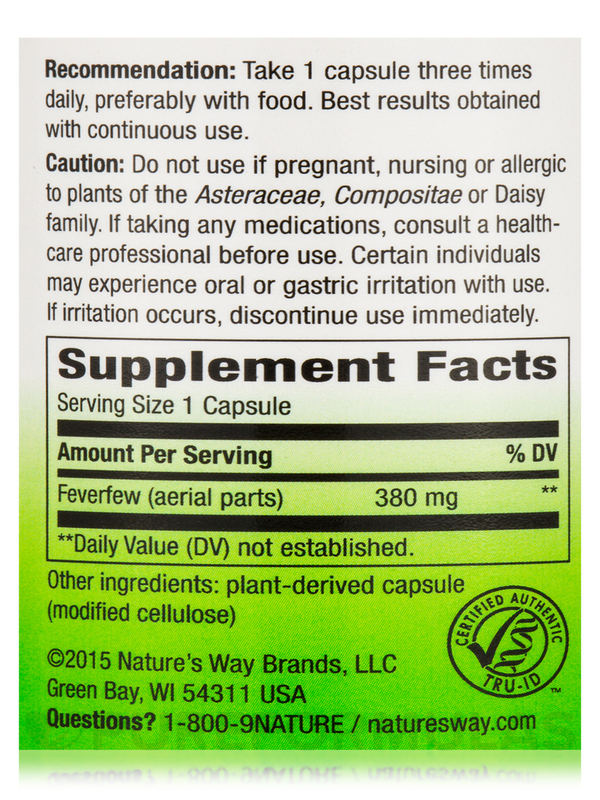 Tried Feverfew Leaves 380 mg by Nature's Way as a migraine preventative, but because it will interfere with the body's ability to absorb other medications and supplements, I found it inconvenient to time and take it properly. Feverfew Leaves 380 mg – 100 Capsules from Nature’s Way® reportedly relieve headache and joint pain. This dietary supplement may also improve the tone of your blood vessels and help your heart pump blood smoothly. Feverfew leaves or Tanacetum Parthenium could potentially reduce respiratory conditions‚ allergies‚ fever‚ and inflammation. It may ease vascular headaches due to blood vessel changes and relieve premenstrual headaches too. Studies reveal that feverfew lessens menstrual cramps‚ swelling in joints and tissues‚ common cold‚ earache‚ and liver problems to ward off the discomfort associated with these conditions. 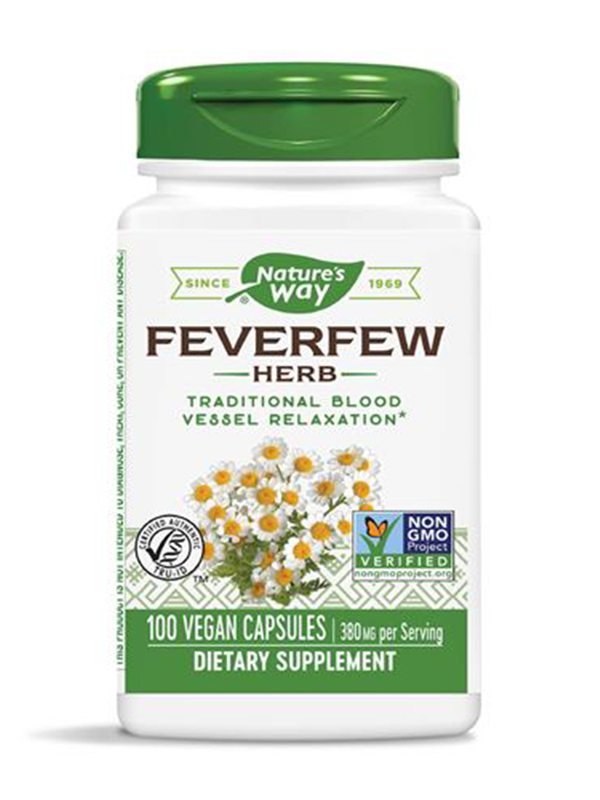 The presence of feverfew leaves in this dietary supplement from Nature’s Way® reportedly maintains healthy blood hemoglobin levels in your body‚ reduces muscular tension‚ and supports pregnancy too. It could potentially decrease the production of hormone-like substances in your body called prostaglandins to combat inflammation‚ support certain facets of heart health‚ and promote your general wellness. Feverfew may improve your digestive health‚ appetite‚ and kidney function as well. Take Feverfew Leaves 380 mg – 100 Capsules from Nature’s Way® daily and it could potentially fight infections and inflammation‚ ease dizziness‚ and keep away conditions related to your bones‚ gums‚ and teeth. Take 1 capsule three times daily‚ preferably with food. 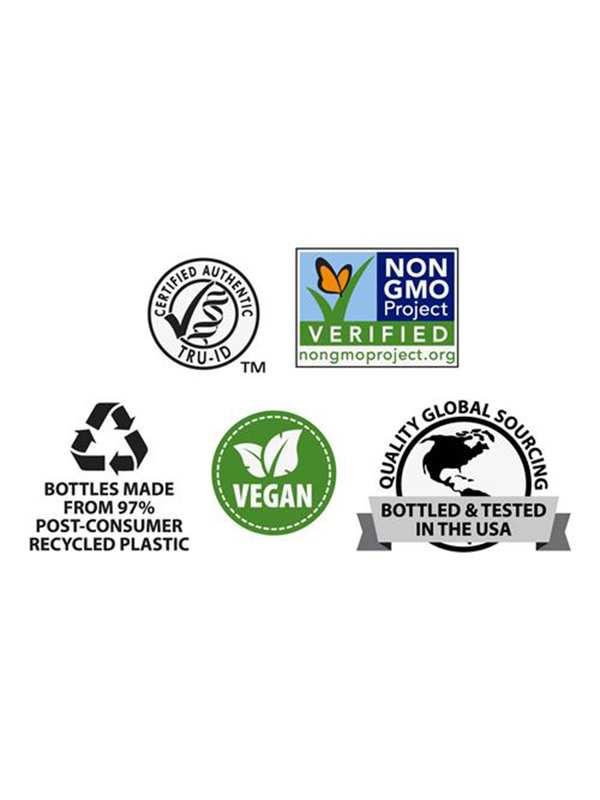 Best results are obtained with continuous use. Not recommended for use by pregnant or lactating women. 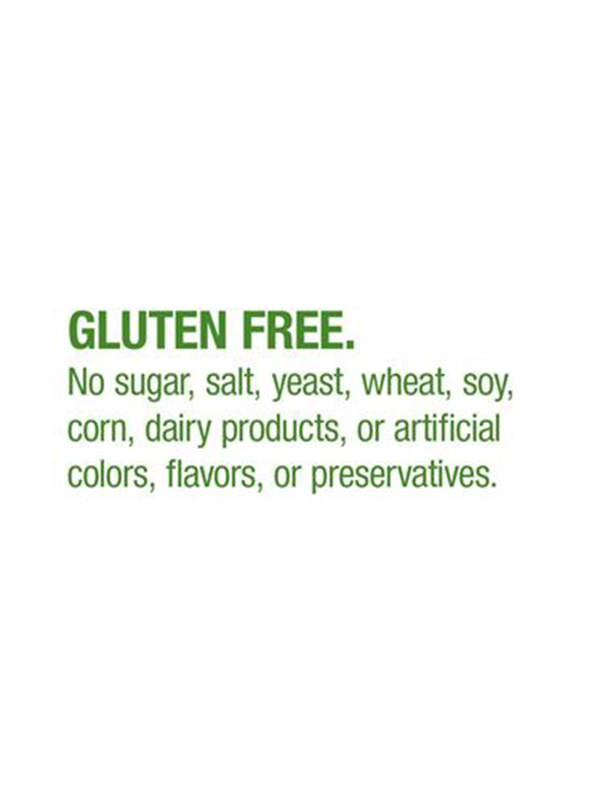 Certain individuals may experience oral or gastric irritation with use. If irritation occurs‚ discontinue use immediately. I use a combination of Feverfew, Riboflavin, & Magnesium to help with my migraines. I now have fewer migraines because of this combination. Feverfew Leaves by Nature's Way is an excellent supplement to help in reducing migraines. I have suffered from migraines since I was a child. 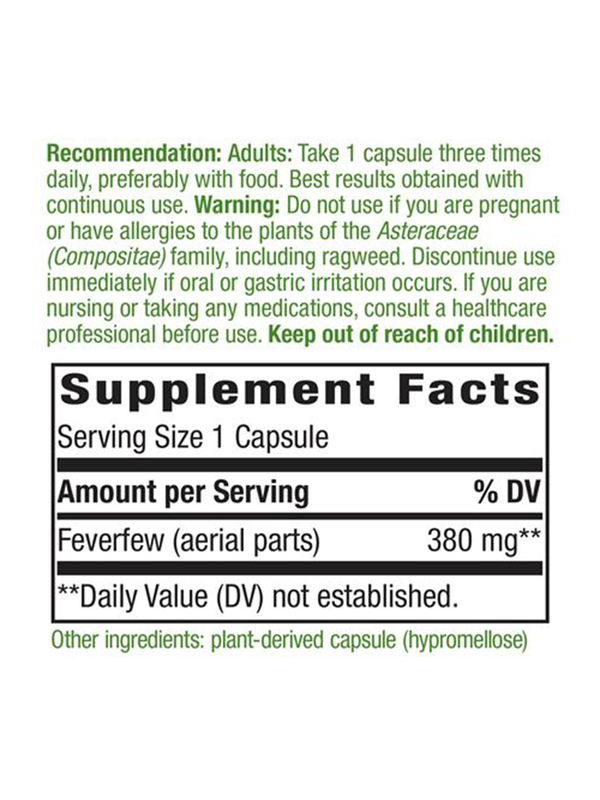 I started taking this supplement over a year ago and have significantly reduced the frequency of my migraines. This supplement has all good effects. That I did not know about it sooner! Good to treat initial cold symptoms.